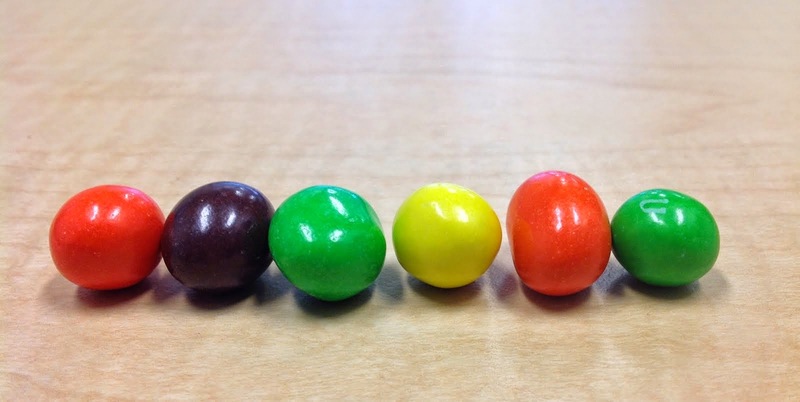 I've never hidden my unhealthy obsession with the humble peanut M&M. I'm not entirely sure why these things capture my attention as they do, because every time I eat them in any quantity greater than six, I get nauseous. But from a photographic perspective, they're kinda fun to play with. So when one of those tiny snack packets made it into my lunch one day, I felt the need to capture them in pixels before they, ah, disappeared for good. I'll go back to my usual bananas and grapes after I hit the Publish button. Promise. Mmmmm, peanut M&Ms are my second favourite. Salty favourite: Lays Salt & Vinegar chips. Has to be Lays. And none of that "less-salt" nonsense, either. Full salt, full vinegar, happily destroying the inside of my mouth. Sometimes I need to remind myself to look at innocent objects around the house as sources of photo inspiration. Well done.